The M18 1/4 in. Hex Brushless Impact Driver is the most compact impact driver in its class and delivers over 50% more run time than impact drivers with brushed motors. 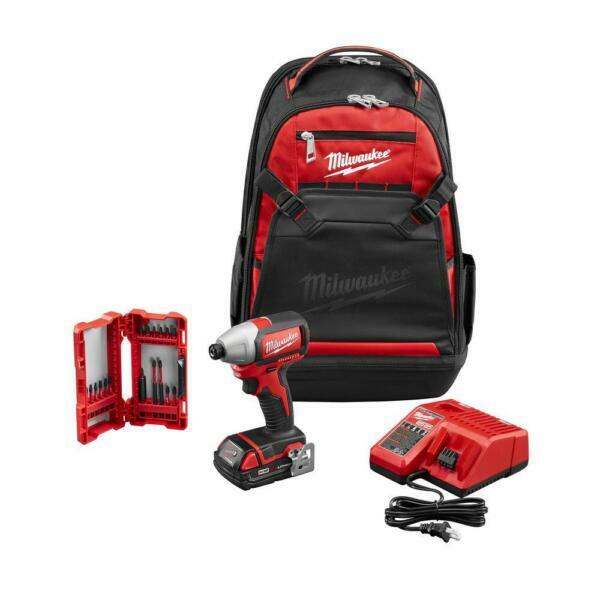 The Milwaukee-built brushless motor, REDLINK electronics and REDLITHIUM batteries provide efficient power delivery for fewer trips to the charger. At only 5-3/8 in. long and 3.1 lbs. (with battery), this impact driver provides excellent control and balance in a compact size, perfect for work overhead or in tight spaces. Delivering up to 1500 in. lbs. of torque and 0-2800 RPM, this tool is suitable for a wide range of fastening applications.